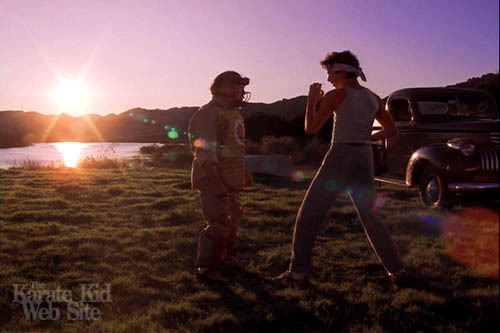 Karate Kid.. . Wallpaper and background images in the The Karate Kid club tagged: the karate kid ralph macchio mecksey. This The Karate Kid photo contains mulch. There might also be street, city scene, urban setting, sunniness, vacuum, and vacuum cleaner.